Gervonta Davis fought just a single time in 2018. Both Davis and Mayweather Promotion’s CEO Leonard Ellerbe expect their fighter to have a much more active 2019 campaign. He was supposed to face Abner Mares on Saturday night but had to settle for Hugo Ruiz who took the fight on short notice after the former three-division champion was forced to pull out of the fight with a detached retina. Tank blasted Ruiz out in the first round of their Showtime televised main event. After the fight Floyd Mayweather Jr. mentioned that Davis may face kickboxer Tenshin Nasukawa in an exhibition in April before returning to the ring in a sanctioned fight in May. With or without the exhibition bout, the plan is for Davis to fight at least three times in 2019 and be active the way Mayweather was early in his career. “Well if you look at Floyd’s career we are doing the same blueprint that they did. 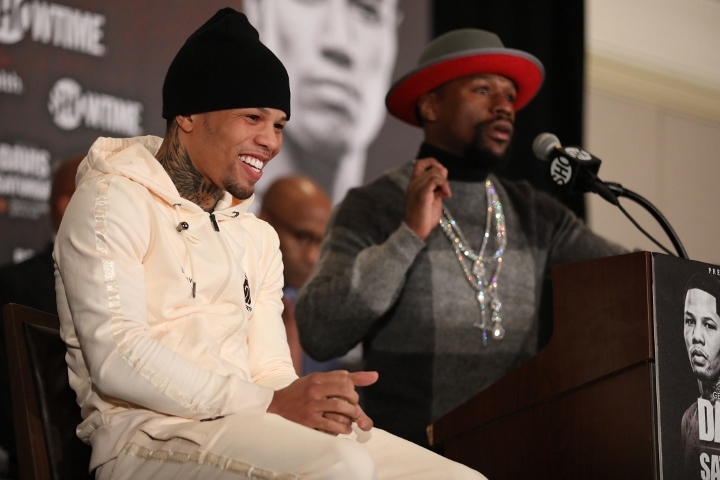 Whatever person that the sanctioning body or the public wants us to fight is who we are going to fight if it makes sense,” Davis’ trainer Calvin Ford stated. Ford said that they were focused on Mares but were still able to make the adjustment to fighting the much taller Ruiz on short notice. He said that they trained to be ready for anything but admitted that they would have much rather have fought the much more accomplished Mares. “No (it didn’t effect us) because we prepare for anything that can happen but it hurt us because we were looking forward to that fight. We were really looking forward to it and I hope Mares gets well soon and will be able to continue his career. My prayers go out to him that he has a speedy recovery,” Ford said after the fight. There has been speculation that Davis’ May ring return may be a homecoming bout in his hometown of Baltimore, Maryland.